Why would you, as a child, want to study Kung Fu or why would you, as a parent, want your child to study this art? There are many reasons for studying martial arts, ranging from health to self defence to self development to competing in sport. Every instructor has his own background or priorities and teaches accordingly. 1. “Discipline” As an instructor, insisting on discipline will eventually lead to self discipline. Given the many terrible role models these days, ranging from self centered sports superstars to drug addicted film stars, and the overdone emotions that can be seen on so-called “reality” TV shows, self discipline is a worthwhile goal which, in the case of our modern kids, often has to start with discipline. As a father of a teenage son and a pre-teen daughter, I have had plenty of personal hands-on experience with this. This concept of discipline and self discipline also extends naturally into politeness and good manners. 2. “Confidence”. This is a big one. By traveling up the rank-ladder and coping with ever-more difficult movement and concentration challenges, your child learns to believe in him or herself, begins to understand that with consistent effort on their part, all things are possible. Due to my long-term association with the Ashihara Karate Organisation the children are able to compete in non contact, “clicker” (ongoing semi contact), full contact and forms competition under that organisation’s umbrella and thereby qualify for provincial, regional and national colours. “Kung Fu” is a generic term covering literally hundreds of styles. “Kung Fu” actually translates as “ability” and “hard work” and does not necessarily refer only to martial arts training. I use the term “Kung Fu” because it is easily recognizable and since the core combat art within my teaching is a Chinese method called “Hsing Yi Chuan” (“Form Intention Fist”) This translates loosely as: “Unifying your body and your mind-intent so as to achieve your goal. Historically, this is one of the more combat oriented styles, being used in training elite Chinese military units. In teaching children I remove one element from how I would teach this to adults, i.e. the very specific targeting of the techniques to vital targets. Techniques are thus executed in a similar fashion to Karate, where techniques are aimed at “jodan”, “chudan” or “gedan” level (“face height”, “chest height” and “just south of the belt buckle height”). This leaves enough “bang” to handle a schoolyard bully, but not enough for a drunk teenager to put some other boy that he has an argument with at a party, into the local intensive care station. Knowing that you can handle the schoolyard bully also instills confidence and this “firing pin” can be put back into the “gun” when the student is old enough to join an adult class. Furthermore, the generic term is appropriate since I integrate other training elements, such as a great deal of movement and fitness training (from “Bioginastica”) and drills from the Mixed Martial Arts. 3. “Fitness”. At the school that my children attend, the annual physical testing presents some astonishing and, to me, frightening results: Many of the children cannot perform the simplest fitness oriented tasks. Teenage boys who struggle to complete a single push-up in “correct form”, girls who don’t have the core strength for more than two or three half-hearted crunches, it is sad to see how the simplest physical fitness seems to drop a notch, as one decade turns into the next. Looking at the daily routine of many children, this does not come as a great surprise. Coming home from school, sitting down to do the homework is then followed by sitting down to watch TV, going onto the Internet or “texting” their friends. Later, they sit down for supper, then some more TV or computer, then bed. The only muscles getting a workout are the ones you use for sitting on or for using the remote or the keyboard. Every school has its sports stars, but what if your child is not in the rugby, netball or hockey team? 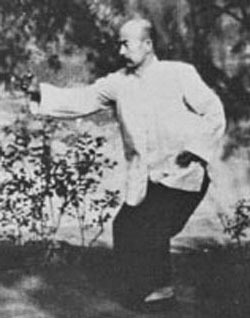 Kung Fu develops balance, coordination, strength, speed and stamina and prevents this pattern of physical laziness from developing into what might potentially become a life-long disassociation from one’s body. 4. “Fun”. Whilst maintaining discipline, there has to be an element of fun, of play. Without fun, the training becomes grim and the level of motivation drops radically. What I look for in teaching children is a balance. Too much fun and no work is done, no fun at all and no-one wants to stick around to do the work. The answer lies in skillfully blending the two. A practical example of how this “fun” element comes through in the classes: Bodyweight exercises such as push ups, squats and abdominal crunches may have a great training effect but, let’s be honest, they are incredibly BORING! Has anyone in the history of physical training ever enjoyed doing push-ups? I sincerely doubt it! With children this does not always work. This is where a system such as Bioginastica works well. When the children slither like crocodiles, jump like frogs or shuffle along the floor like silver-backed gorillas, they are “exercising” the same muscles that bodyweight exercises are aimed at, but are doing so in a highly enjoyable and very mobile manner. These four factors encapsulate my approach to teaching children and the goals I have in doing so. The pure art of Hsing Yi can potentially go much “deeper” than this, but I believe that in teaching it to children it should be seen as “a study in movement, discipline and self confidence”, anything other than that is best left for future adult classes.